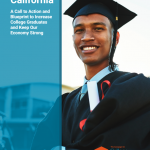 Builds off of investments made in the 2016 State Budget Act to establish the California College Promise Innovation Grant Program which will help develop and strengthen regional college partnership programs across the state. This bill qualifies homeless youth to receive the same priority enrollment given to foster youth in state universities and community colleges. It requires the designation of a single point of contact to assist homeless and foster youth to access and complete higher education. Additionally, it requires schools to post public notice about financial and other assistance available to homeless and foster youth. It adds homeless youth to required training elements of the Community College Student Financial Aid Outreach Program and gives homeless youth eligibility to serve under the Student Opportunity and Access Program. The bill also adds homeless youth who meet minimum academic requirements to the populations exempt from community college fees. 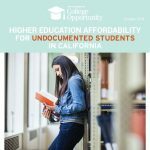 Promotes college attainment for foster youth, low-income students and students with disabilities by ensuring priority registration remains available for these students. 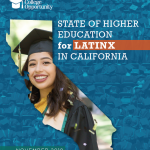 Establishes a stronger pipeline from high school – particularly for those schools that enroll 75% or more low-income, English learner, and foster youth – to college by increasing the number of students prepared and eligible for admission to a four-year university while ensuring more qualified California high school students find their rightful spot at a UC campus. Expands financial support for community college students to help them pay for the real cost of college – costs beyond tuition that comprise the bulk of college costs for students. 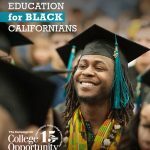 Specifically, this bill increases the number of competitive Cal Grants from 25,750 to 30,000; increases the Cal Grant B Access Award from $1,656 to $3,000; and increases the age limit to qualify for the transfer entitlement to 31 years and permit students who have taken more than a year off from school after graduating from community college to qualify. Will provide guidance and support to community college districts and campuses who wish to establish emergency aid programs. Programs will help students continue to pursue their educational goals through unforeseen financial emergencies by sustaining students with emergency grants. 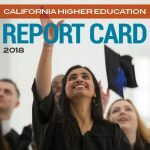 Requires the UC to report on California Community College students’ transfers to the UC, including information related to Associate Degree for Transfer earners seeking to transfer to and graduating from the UC. Establishes a computer science advisory panel to develop recommendations for how California should expand computer science education and ensure its accessibility to all students in the state.